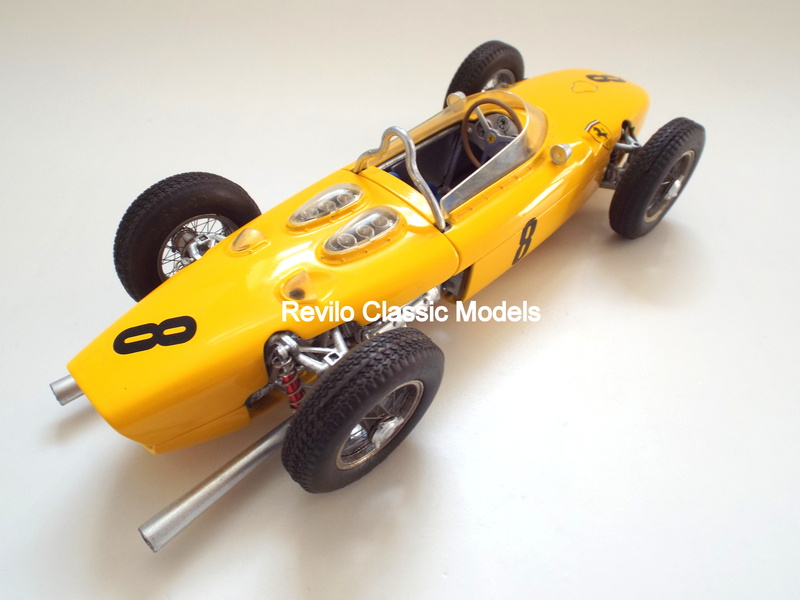 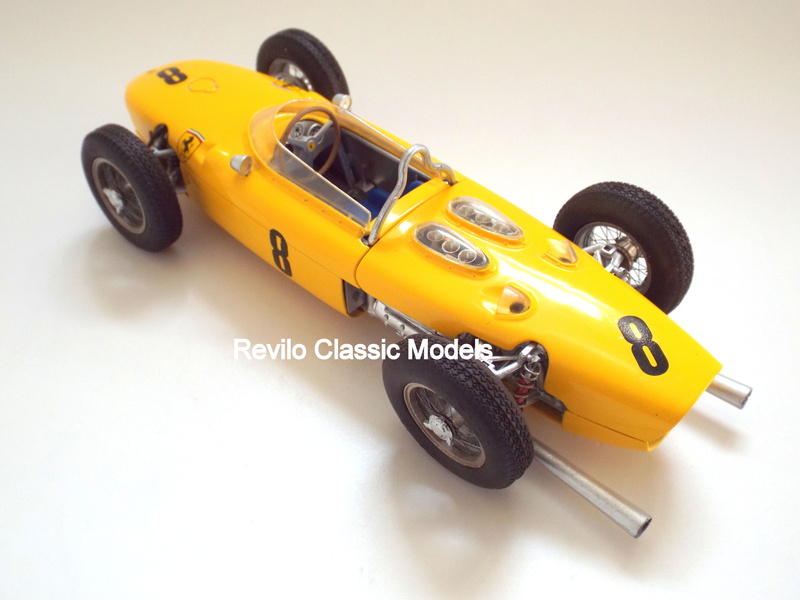 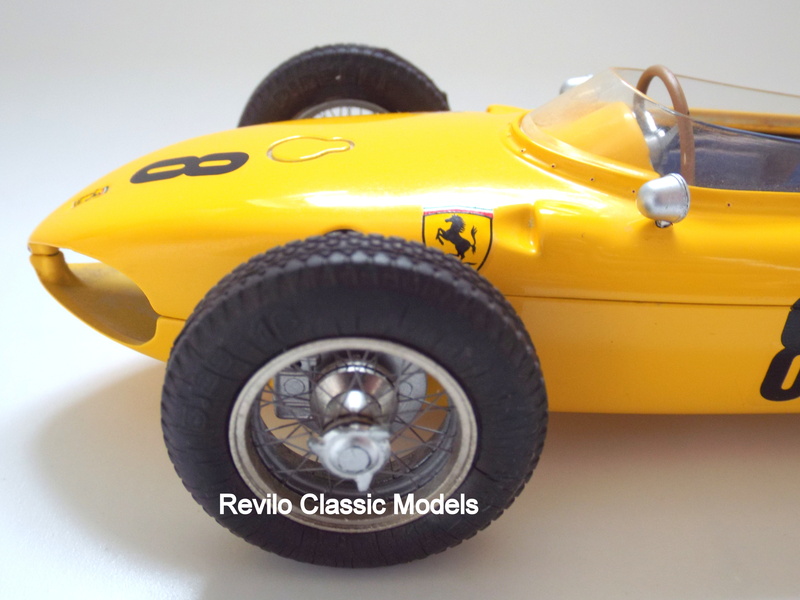 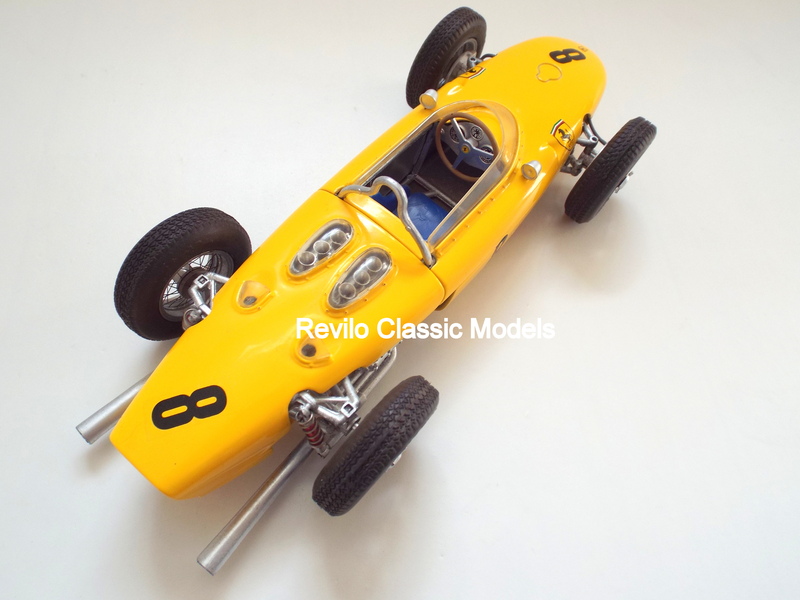 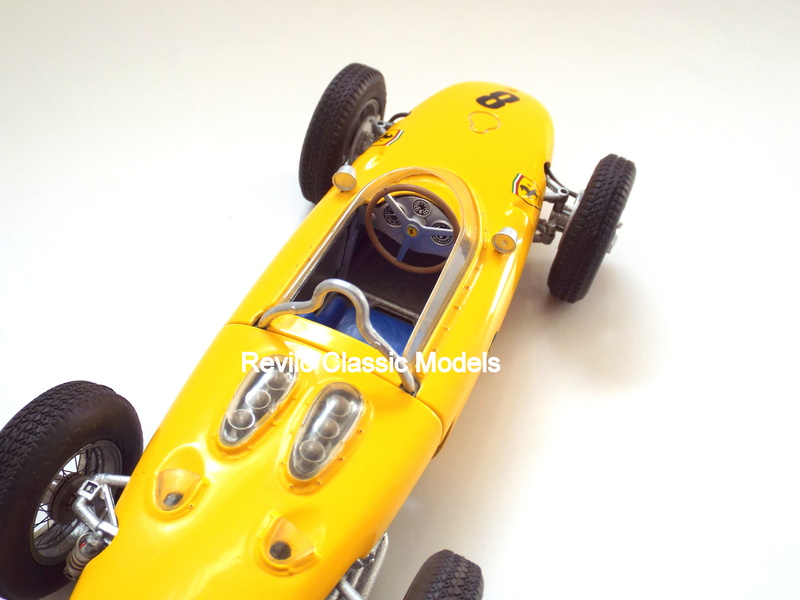 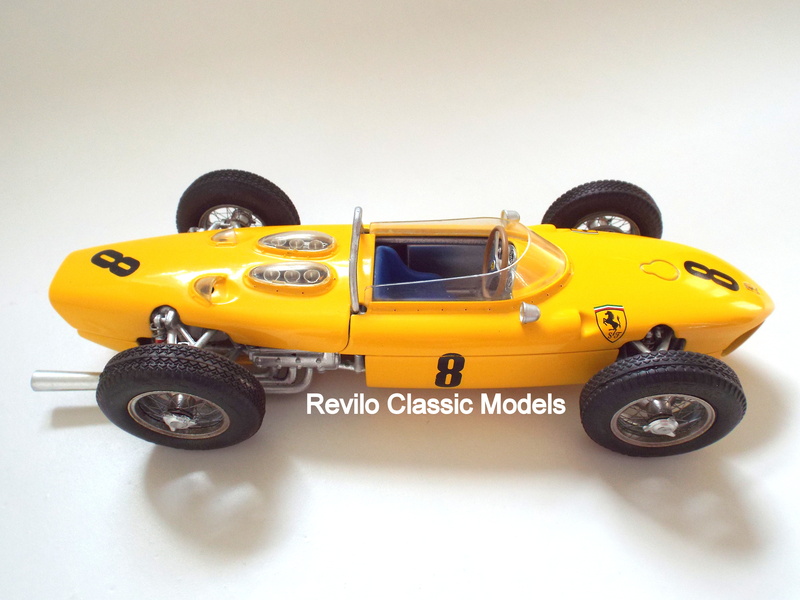 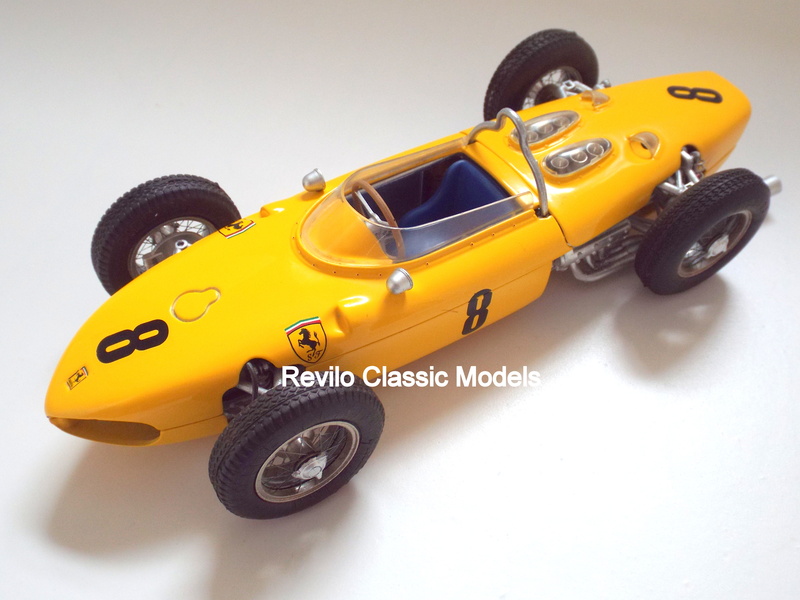 Ferrari 156 ‘Sharknose’ 1:20 scale by Revival. 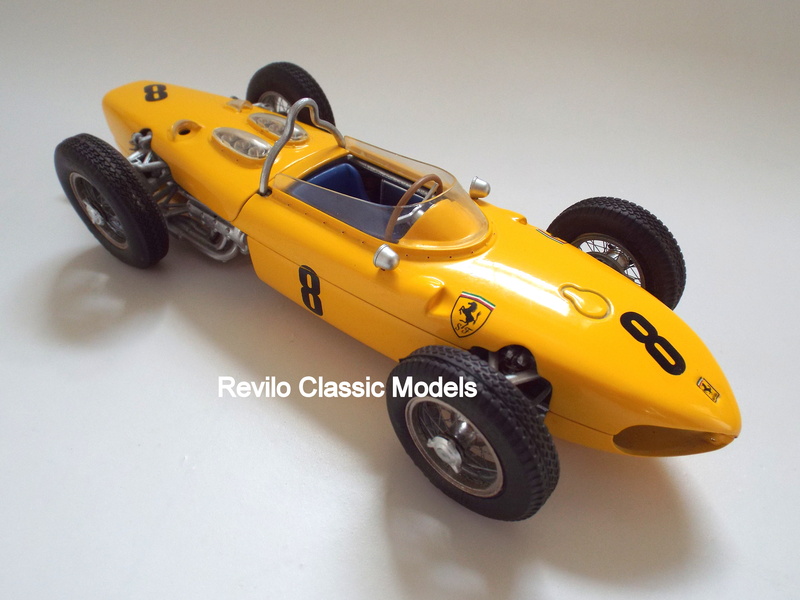 This is a delightful 1:20 (20cms/8″) professional factory built, metal bodied model of the iconic Ferrari ‘Sharknose’ in the yellow #8 colours of the Olivier Glendebian car that raced at Spa in 1961. 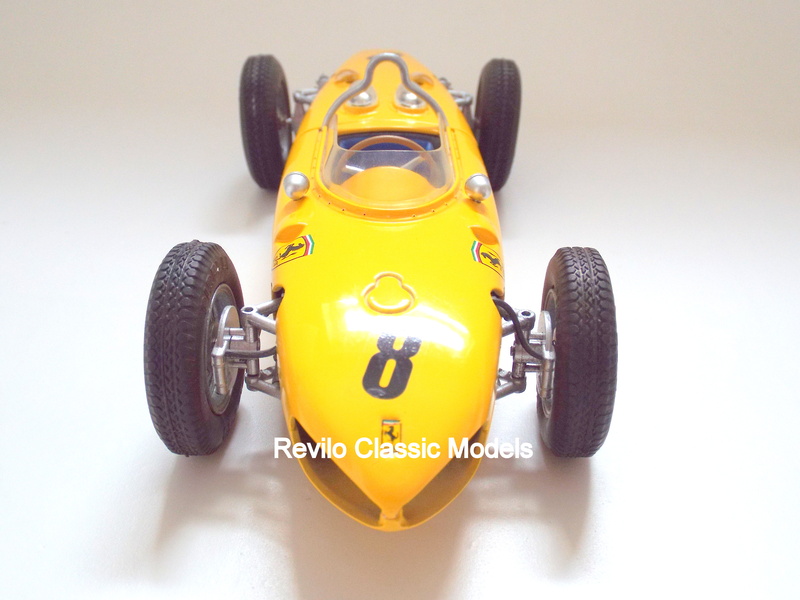 He finished 4th in a whitewash 1-2-3-4 finish for the fabulous Ferrari 156. 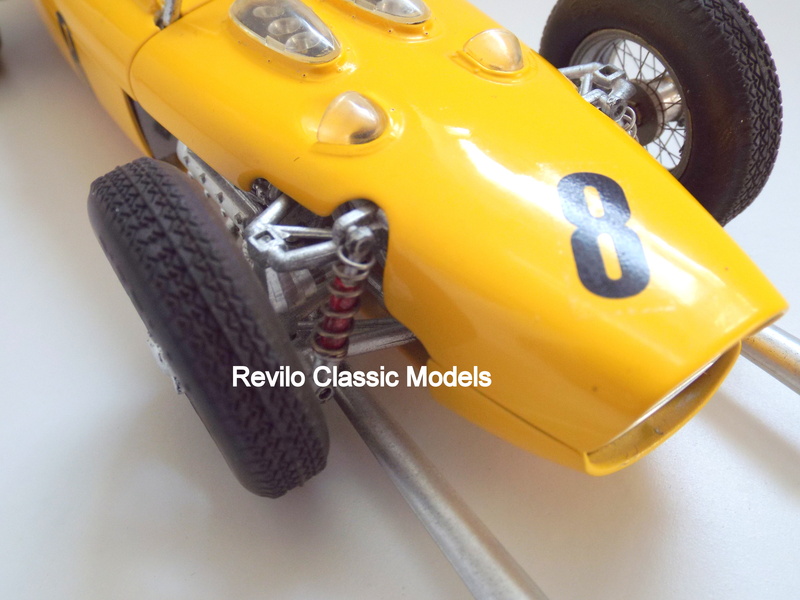 Lovely detail of the cockpit and engine with handbuilt wire wheels. 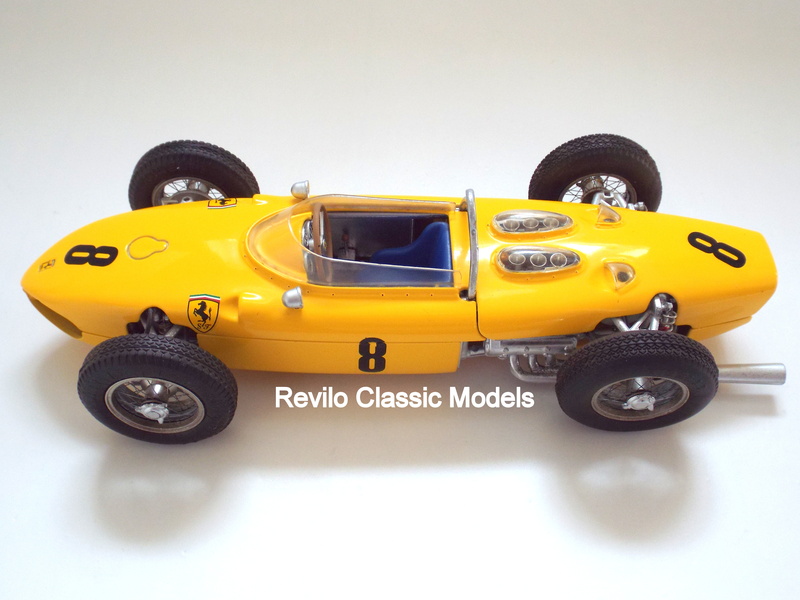 A rare and intersting addition to any model collection.